The weather is slowly letting us know that the time is near…. are you ready??? 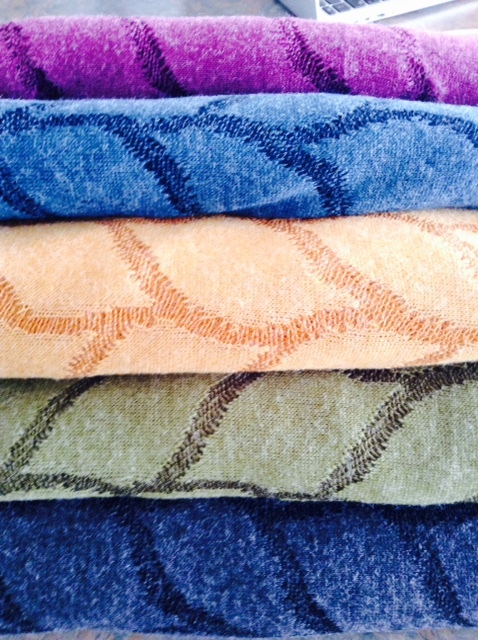 I am already steps ahead and looking forward to the fall season edition of my scarves. Here are my colour line up! So excited. This fabric is amazing, the Elisha Knit. Feels great on your skin and looks so chic and stylish. Pictures of the finished product to come soon. From the top purple , dark turquoise blue hue,mustard,olive and charcoal grey! The sewing chronicles continues!.. Just keep sewing, just keep sewing…..
Next postShow me how you Burlesque!!!!!! !